Osterloh will now receive about 8,000 euros a month. FRANKFURT -- Volkswagen has cut the salaries and suspended the bonuses of 14 members of its works council, including the council's head Bernd Osterloh, as public prosecutors investigate alleged earlier overpayment. Osterloh, who once earned 750,000 euros ($888,525) in a single year and up to 250,000 in other years, said he would now receive about 8,000 euros a month, according to an interview on the website IG Metall bei Volkswagen. The website is aimed at union members working for the carmaker. It was disclosed in May that German prosecutors were investigating current and former executives at VW on suspicion that they paid Osterloh an excessive salary. In Germany, wasting corporate funds is legally a breach of fiduciary duty. Volkswagen and the works council have said that payments were in line with legal guidelines, a stance they reiterated on Friday. 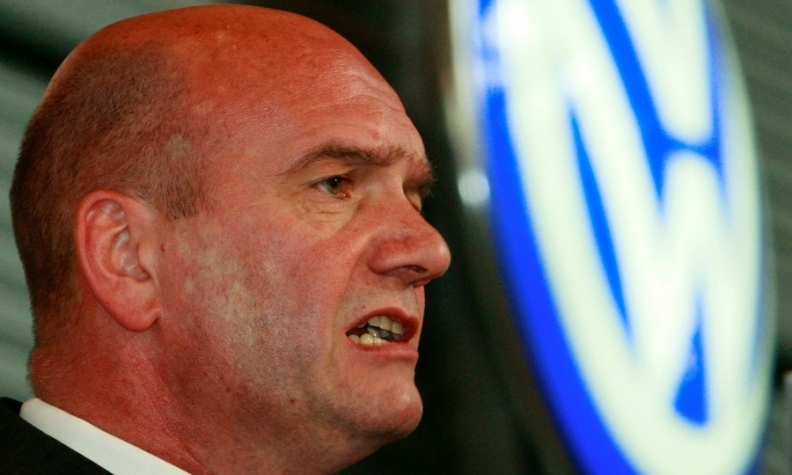 VW CEO Matthias Mueller said that the cuts in pay were an effort to play it safe until the case was clarified. "We thank the works council for taking this step," Mueller said. In November, prosecutors and tax investigators raided the offices of senior VW officials. The raid by prosecutors and tax officers was related to suspected overpayment and related tax evasion, a person familiar with the matter said, referring to the potential for overpayment to result in higher operating expenses and the payment of too little tax.